If you believe that radon gas is intruding into your home, it's time to take action. National Radon Defense can help. 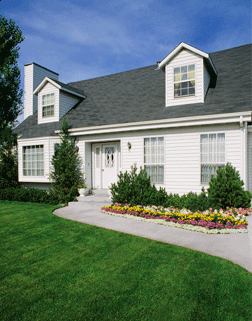 We provide radon testing and radon mitigation services throughout Idaho. It's easier than ever to get your home tested for a radon problem. National Radon Defense can perform an inspection and conduct a radon test in your home in as little as two days! Once a specialist at National Radon Defense has detected radon gas levels in a home that are above the recommended levels, we can customize a radon mitigation system for your home. With input from the homeowner, a mitigation system will be designed and installed to effectively bring home radon gas down to a safe level. Make sure you understand the risks of high radon levels in your home. Contact us online today! 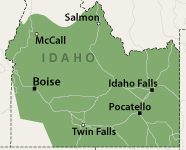 We service Idaho, including Nampa, Pocatello, Caldwell, Meridian, Boise, Idaho Falls, Twin Falls, Sun Valley, Hailey, Ketchum, Bellevue, Kuna, Jerome, Emmett, Blackfoot, Mountain Home , Mccammon, Sugar City, Rexbury, Burley, Victor, Star, Soda Springs, Shelley, Mccall, Firth, Kimberly and surrounding areas.